Oral health problems, including gum and tooth pain, may reflect or contribute to health issues in other areas of your body. Most of us would rather avoid visits to the dentist, but... regular check-ups and cleanings can prevent tooth pain, gum disease, and other oral health problems. If you have sore or bleeding gums, frequent tooth pain, or other dental problems, there may be more at stake than the health of your mouth. “Research has shown that there is an association between oral inflammation and systemic inflammation,” says Marsha Rubin, DDS, director of dentistry at Weill Cornell Medicine. “Examples of diseases linked to systemic inflammation are heart disease, respiratory disease, metabolic diseases such as diabetes, and even cancer. Are you or a loved one suffering from constant pain? Do you ever have severe headaches, back pain, or joint or hip pain? If so, claim your FREE copy, right now, of our special guide on proven, effective pain relief. The main culprit of poor oral health is gum disease, which develops when a sticky film of bacteria called plaque builds up along and under the gum line, causing inflammation. 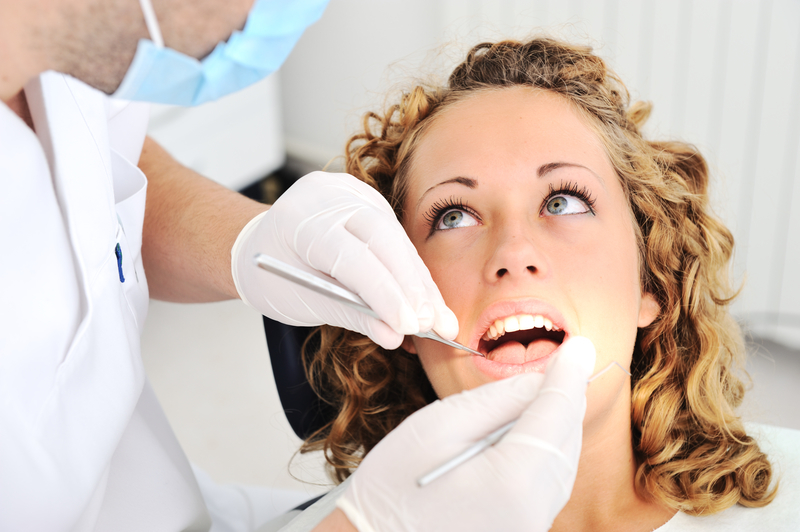 There are two forms of gum disease: gingivitis and periodontitis. With gingivitis, the gums become red, swollen, and bleed easily. Periodontitis is more severe; it can damage the soft tissues and bone that support your teeth and lead to infection, tooth pain, and possible tooth loss. “Left unchecked, the inflammatory process in gum disease can become more severe and escalate to potentially more serious health conditions, depending on the patient’s risk factors,” Dr. Rubin explains. You may not enjoy going to the dentist, but having regular checkups and cleanings are key for maintaining good oral health; they can help you avoid the need for painful and often costly procedures such as root canals and tooth extractions. “Routine checkups are recommended twice a year. Obviously, if you need dental treatment such as fillings, crowns, or implants, you will be seeing the dentist more often,” Dr. Rubin says. According to Dr. Rubin, Medicaid recipients are entitled to basic dental care, which includes routine dental visits, cleanings, fillings, and extractions. There are specific provisions and limitations when more complex care is needed. Medicare does not cover routine dental care, but some secondary plans, such as Medicare Advantage plans, do cover dental services; check with your provider. A nonprofit organization, Dental Lifeline Network, provides access to dental care for people who cannot afford it and who are age 65 or older or have a permanent disability; for more information, visit the website at https://dentallifeline.org. Reduce your intake of sugary drinks and foods, such as soft drinks and other sweetened beverages and candies that dissolve slowly and/or stick to your teeth. If you have dry mouth, drink water throughout the day, and use moistening sprays and gels and mouthwash that is alcohol-free. Chew sugarless gum or mints that contain xylitol. Brush twice a day (morning and at bedtime) with a fluoride toothpaste, and floss before brushing, especially at night. When brushing, take your time and be thorough. Brush your teeth for at least two minutes. Divide your mouth into four sections and spend 30 seconds on each. Use a tongue scraper when you brush to remove bacteria from your tongue and help reduce bad breath. Always use a soft brush to protect delicate gum tissue, and change your toothbrush every three to four months. If flossing is difficult, use a plastic pick, stick, or brush designed to clean between the teeth. Choose a toothpaste and mouth rinse that have the American Dental Association’s seal of approval. “Colgate and Crest make excellent dental products, and there are other products that are more optimal for specific concerns, such as tooth sensitivity or dry mouth. For example, Biotene makes excellent dry mouth products, and Sensodyne toothpaste can be helpful for those who have gum recession and tooth sensitivity,” says Dr. Rubin. For a list of ADA-approved products, visit the ADA’s website by clicking here. alcohol, bacteria, bone, cancer, dental services, diabetes, floss, fluoride, gingivitis, health, heart disease, infection, inflammation, pain, respiratory disease, tooth pain.